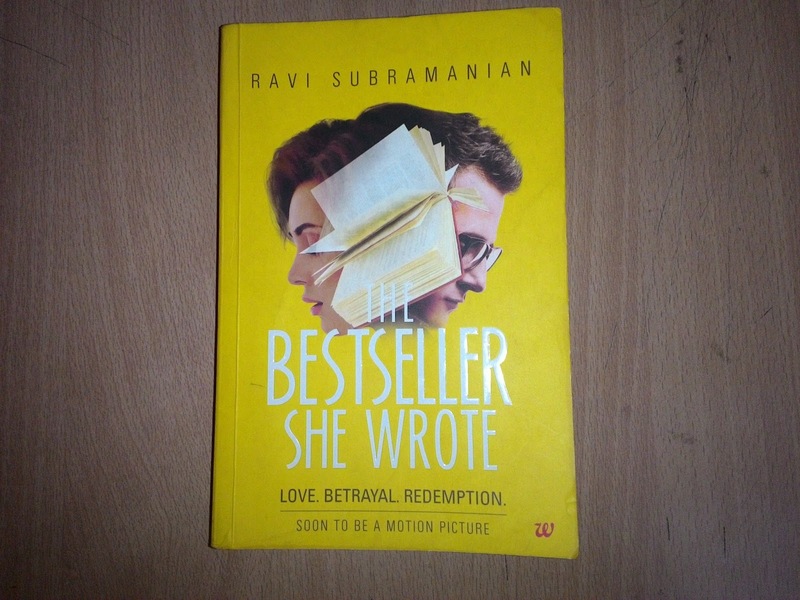 Although Ravi Subramanian has written seven books before “The Bestseller She Wrote”, this was the first time that I read his book. All the previous books he had written were thrillers with banking background. This is the first time he has written a romantic novel.The banking background has anyways crept in to this book too. This is the story of a banker and bestseller author, Aditya Kapoor and a college girl, Shreya Kaushik who wants to become a bestselling author. The story starts from IIM Bengaluru where Aditya has been called for a talk on what he has achieved by pursuing his passions and dreams. While Aditya talks about the marketing of book, he refers to the book as product which irks one student listening to him. This student is none other than Shreya. When they get face-to-face, Aditya tells her to read his books and then come back to him if she doesn’t like them. Shreya is a final year student in IIM Bengaluru and lives in PG with her friend and classmate Sunaina. Her dream is to become a world-famous author. Shreya is young, beautiful and reckless. She is an ardent reader. Books helped take her mind off the trauma in her real life. After having face-off with Aditya, she has risked the Chairman’s gold medal since Aditya is an alumnus of the college and was the guest of the college. To save herself, she reads his fourth novel by staying awake all night and sends an email after completing the book. This saves her from Director. Aditya works at National Bank as Director of Branch Banking. His friend, Sanay Narang also works with him at the bank as the head of Human Resources. Their friendship goes back to more than 15 years. After having first marriage ending in divorce, Sanjay is secretly dating co-worker Diana Moses. Aditya is not happy with this as she dislike her. Besides having a successful career, Aditya has a loving wife Maya and six-year old son Aryan. Maya gave up her corporate career to focus on family. Now she teaches at a school. They met at IIM and soon married after they both started working in European banks. When Sanjay invites Aditya to be a part of interview panel at IIM Bengaluru, he gets a chance to attend a reading session on day before the interview. Their interview is scheduled on the second day of IIM-B placement session. Shreya also attends the book session despite knowing that she would miss the first day of placement. When Aditya visits IIM-B for interviewing, he persuades Sanjay to hire Shreya. Even he don’t know the reason. From this moment starts the definitive moment in their life. Aditya and Shreya gets involved in adultery. Shreya makes Aditya ready to help her in launching her book. Will Aditya and Shreya go on like this? Will Maya ever get to know about the betrayal of her husband? Will Shreya get her first bestseller book using Aditya? Will Aditya get redemption after cheating his wife and son? To know more, you will have to read the book. The book has easy language. The first half is slow but the second half is interesting. The book is soon going to be made into a movie. I give this book a rating of 4 out of 5. You can buy this book from Amazon and Flipkart.